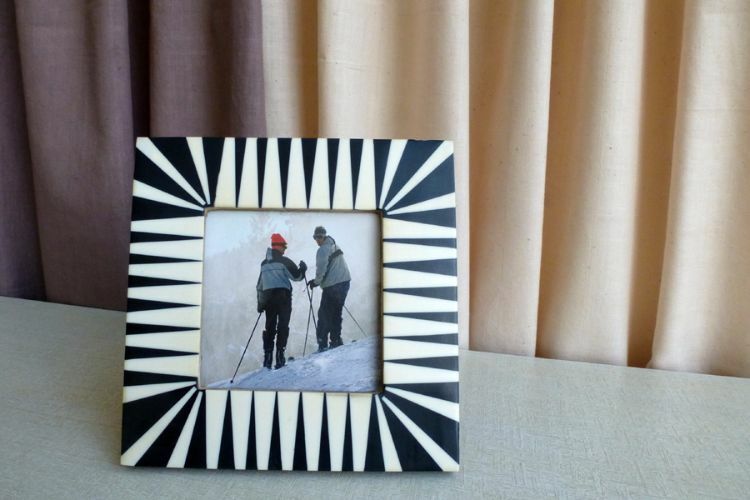 This elegant picture frame and pair of coasters are hand crafted in coloured resin . They are made in Khadim Handicrafts which is a small producer group located in the north Indian state of Uttar Pradesh. Digital pictures are great to take anywhere, but you can’t beat a family picture on a desk or side table as a reminder of happy times.